Home » New Midtown Condo Development in the Pipeline? New Midtown Condo Development in the Pipeline? 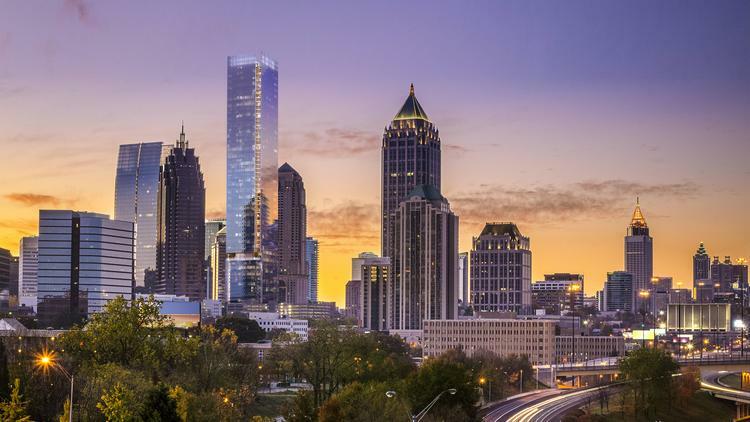 This could change Atlanta’s skyline entirely…. Olympia Heights Management has confirmed that they intend to start construction on 98 Fourteenth Street by the end of the year. 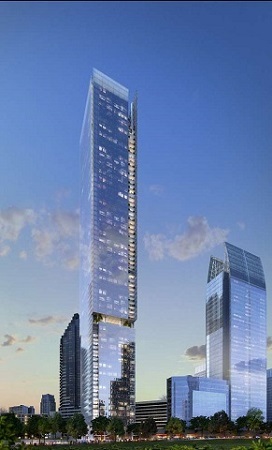 Once completed, the project promises to dramatically change Midtown’s skyline. 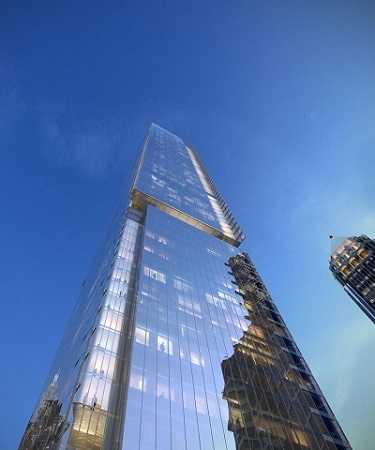 At 74-stories, 98 Fourteenth Street will be the second tallest building in Atlanta (behind Bank of America Plaza) and will stand roughly 100 feet higher than its neighbor (and current tallest building in Midtown) One Atlantic Center. The mixed-use building is slated to have 382 luxury condos which would make it the largest luxury condo development to come on-line in Atlanta in more than 10 years. Pricing is slated to start in the $700s which will provide some much needed inventory in mid-tier price range. Before we get too excited though, projects this size take considerable financial backing and bureaucratic handwringing, and more than one source has reported that things aren’t quite in place for ground breaking. That said, Olympia Heights Management, and the building’s architecture firm – Perkins+Will, have yet to say there will be any delay.